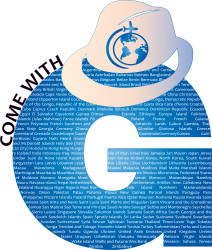 Come With G – Journaling not just the travel and ex-pat experiences, it's much much more! Continue reading "St. Petersburg’s Photo Book"
Continue reading "Palace Square – St. Petersburg"
Continue reading "MEET ME AT THE CLOCK"
Gracias, Merci, Gracie, Danke, Obrigada. Thank You for following my Blog. I am grateful to have you as my audience. Continue to follow Come With G.
Continue reading "Taking the High Line"